We have been learning all about nonfiction text. I wanted to see how much my first graders knew without much instruction on the topic. 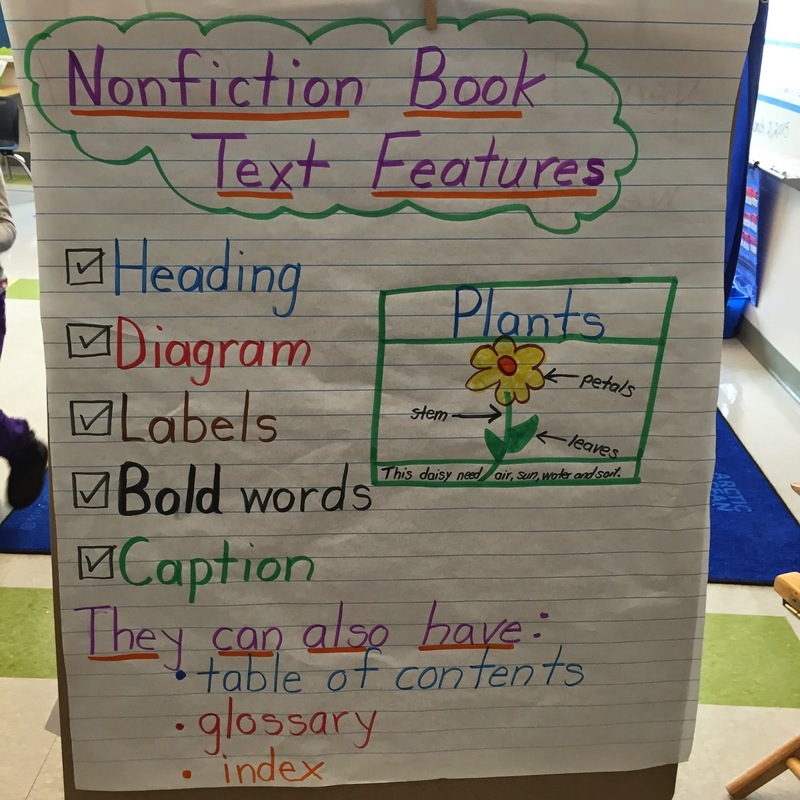 I gave each student a nonfiction text and asked them to look through the book and tell me what they noticed. I wrote down their responses on this web anchor chart. (sorry- not my neatest work). I then sent them off with their book boxes filled with both nonfiction and fiction texts. 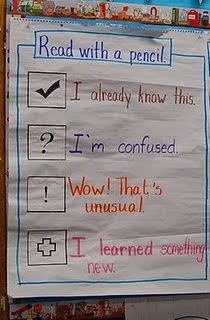 The next day, I had this anchor chart to share with them. 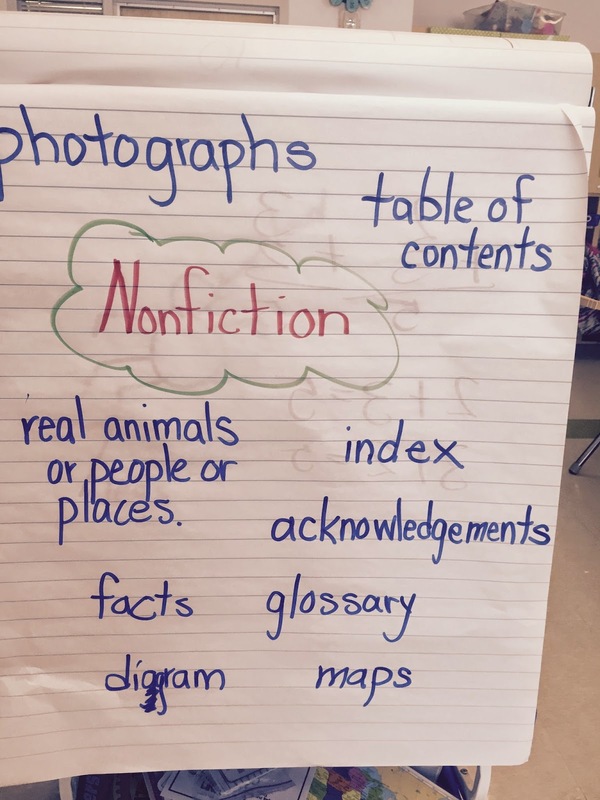 We talked about what each feature meant and they identified whether their text had these nonfiction text features. After recess each day, we have a silent reading time for about 15 minutes to "regroup" and regulate ourselves for the afternoon. 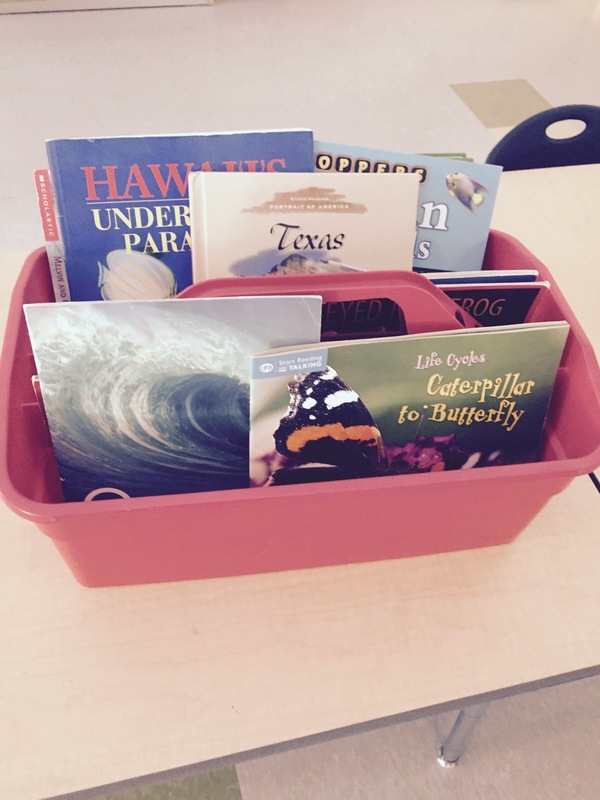 Since I have tables in my classroom, I added one bin of nonfiction texts to each table for students to explore. I alternated the bins each day. 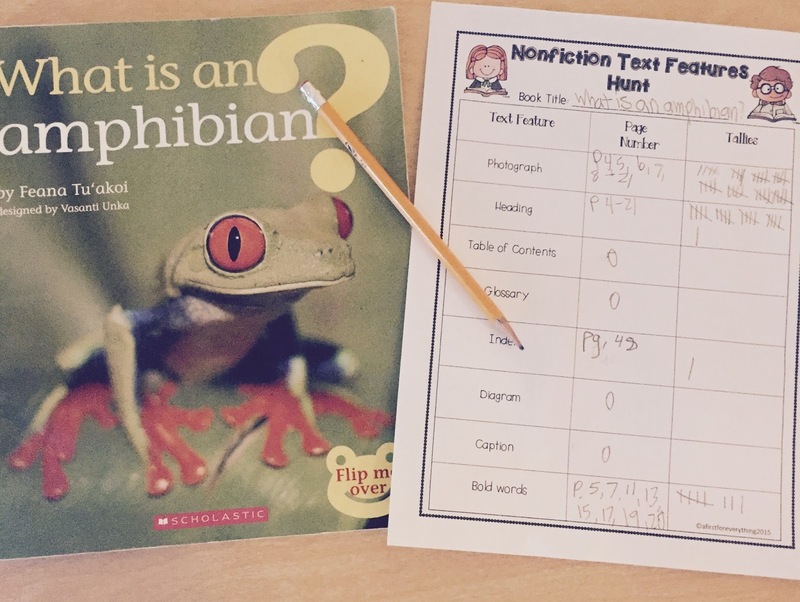 The kiddos LOVED this nonfiction text features hunt! It's free if you want to grab it here. We also enjoyed Brainpop Jr's video on nonfiction texts. Do your students squeal with delight when you break out the Brainpop videos like mine do? I love this annotations anchor chart that I found on Pinterest. I think next week we'll give this a try with nonfiction text and sticky notes because....what kid doesn't love using sticky notes, right? I'm thrilled with how quickly they've embraced nonfiction and how much they have learned this past week!